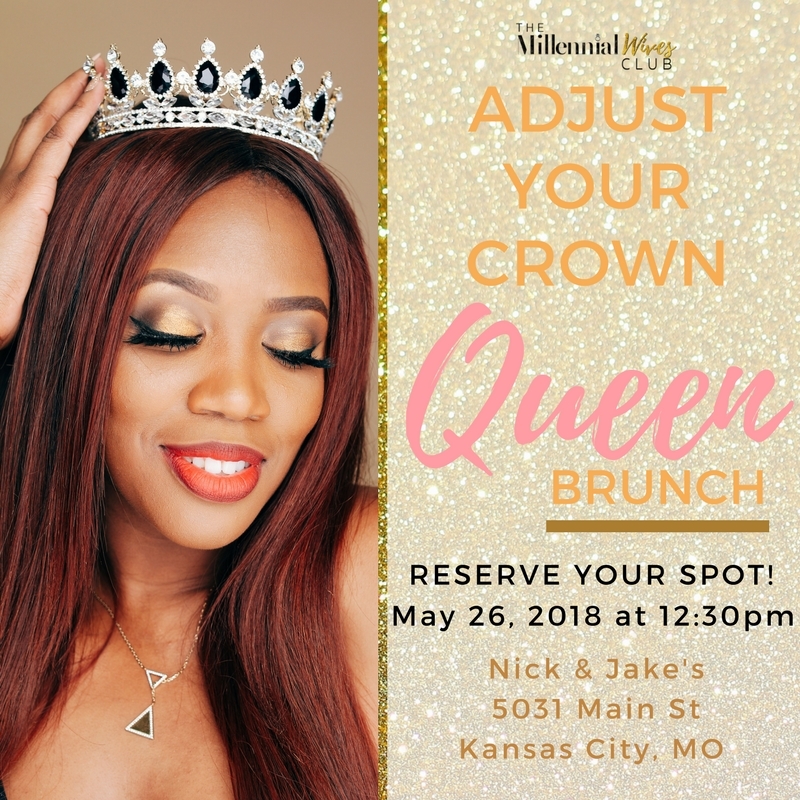 Adjust Your Crown Queen: Let's Brunch! Hey Girl Hey! Interested in learning more about the Millennial Wives Club and want to meet the Brand Ambassador for Kansas City? Join us as we mix, mingle, and meet for the first time. Not a wife? No problem! Are you a Millennial and want to meet dope Women like yourself? Well come this is for you! Bring your appetite because we will be eating a fabulous Brunch at Nick and Jake’s - Main Street. Seats are limited, so don’t forget to save your seat. The cost is $5.00 to have your name on a seat. Please RSVP by paying here before May 18th, 2018. Please note: Brunch will not be paid for my MWC-Kansas City. In the future, we hope to offer Brunch as our special treat.